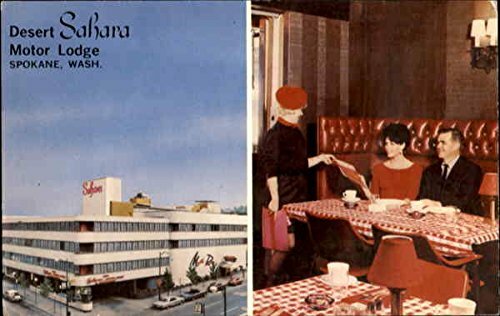 Drive-in lobby and free under-cover parking... completely air-conditioned... rooftop swimming pool... Saharan restaurant and coffee shop... Moulin Rouge for cocktails and dancing. Specialties from the Open Hearth. 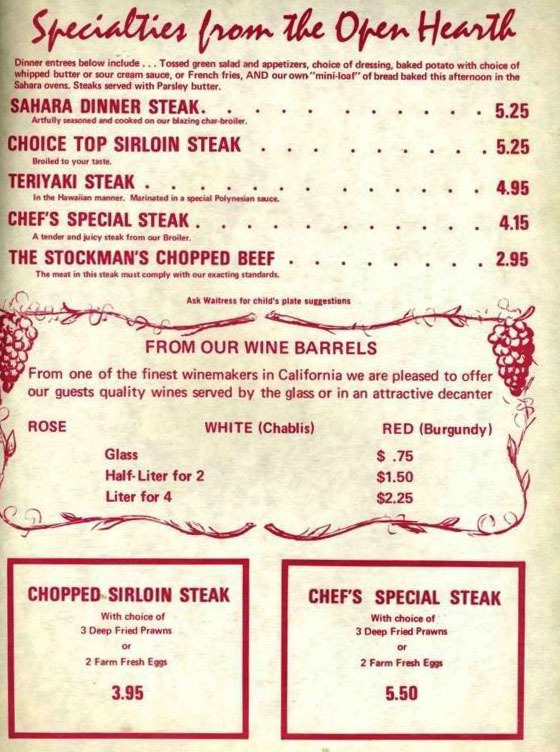 Sahara Dinner Steak, choice top sirloin steak, teriyaki steak, chef's special steak, the stockman's chopped beef. From our wine barrels: rose, white (Chablis), red (Burgundy).